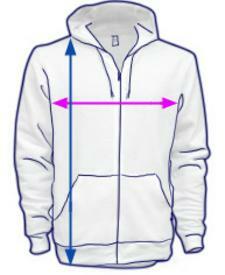 Description: Vintage inspired full-zip hoodie with white drawcord. Full-length metal zipper, pouch pockets and set-in sleeves. Comments: This product runs small. We advise ordering one size up.